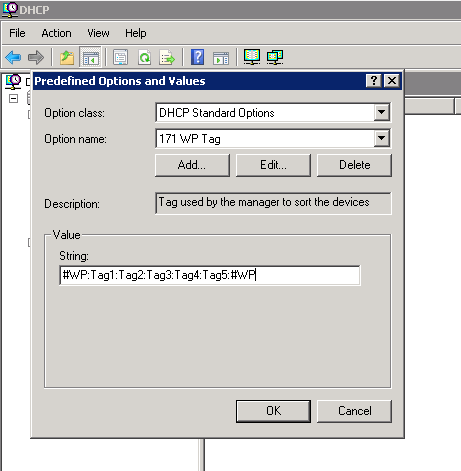 Xcalibur W Device Agent can use DHCP as a mean of obtaining parameters that will be automatically applied. 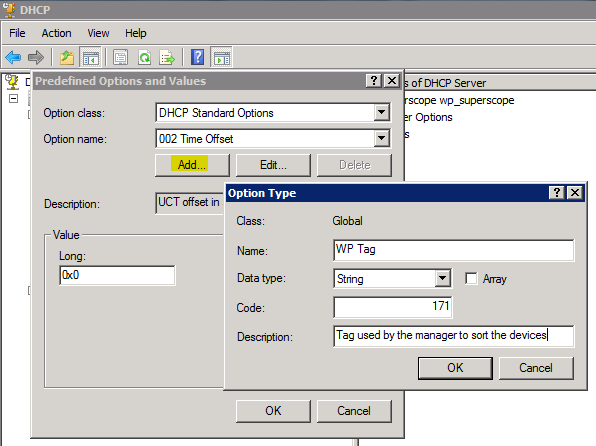 You can choose if this mehtod is enabled or not by toggling the checkbox in the Agent Configuration page as show below. 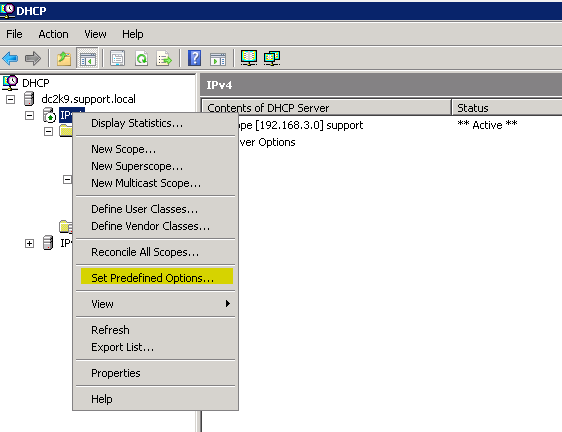 The default state is enabled. 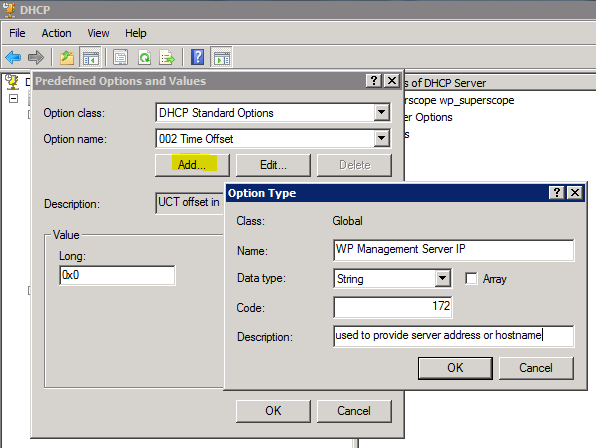 The setting for the DHCP scope options follows a well defined logic. 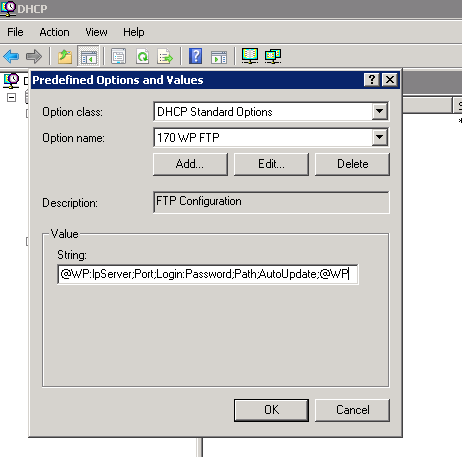 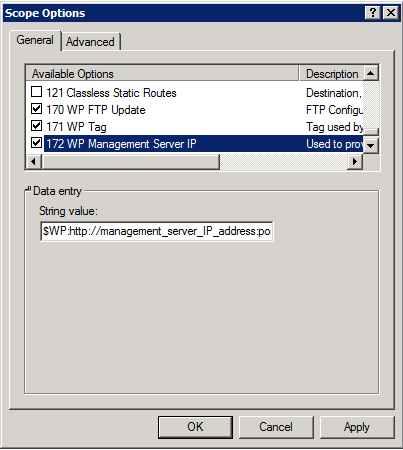 The following example illustrates the configuration of DHCP on a windows server 2003. 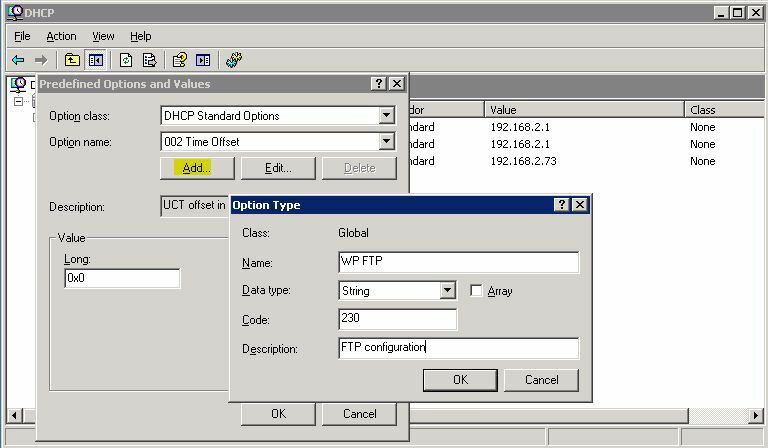 Add in the DHCP option 232. 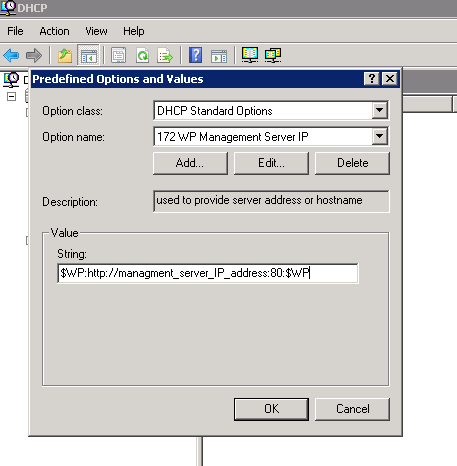 Select 230, 231 and 232 then validate. 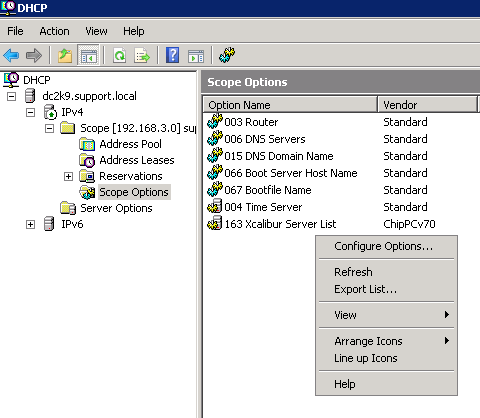 The configuration is completed, you can see the 3 new options appearing.